Fusion Peel N Stick Inkjet Photo Pro has an inkjet printable polyester fabric face stock that is tear, water and UV resistant. The durable fabric is super conformable which aids in sticking to all types of surfaces, even textured stucco surfaces or painted concrete block walls. Our proprietary inkjet top coating creates a surface that yields crisp clear images and color pop on quality inkjet printers. 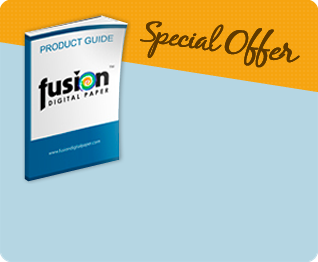 Fusion Peel N Stick Inkjet Photo Pro is definitely a professional grade product which allows you to achieve printed photos faithful to the moment they were captured in your camera lens. It’s a versatile product because professional photographers can add it to their product portfolio, but it is also very affordable and easy to use for the amateur that has a quality inkjet printer. 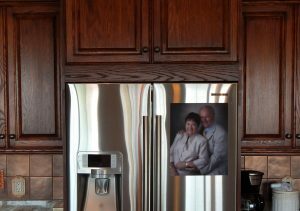 Fusion Peel N Stick Inkjet Photo Pro has a repositionable adhesive that will adhere to approved surfaces such as painted walls, wood cabinets, glass, metal, stainless steel refrigerators, laptops and more. Our adhesive will not only stick to approved surfaces, but is also repositionable, so it can be peeled off cleanly and reapplied over and over again. The durable fabric will not stretch or tear like vinyl so it lets the customer experiment with placement of their photographs and allows them to be repositioned or moved wherever they see fit. And because the face stock and top coating are so durable, when used in combination with pigment inks, you can even use Fusion Peel N Stick Inkjet Photo Pro for many outdoor applications. In addition, college students love to use Fusion Peel N Stick Inkjet Photo Pro to decorate their dorm rooms. One college told us that they call our product ‘dorm proof’ because there’s no need for costly wall repairs at the end of the year. Just peel off the pictures and throw them away and you are ready for next year’s incoming students. Made in the USA, Fusion Peel N Stick Inkjet Photo Pro is the fun, easy and inexpensive way to turn your photos into beautiful pictures that you can adhere to your walls. 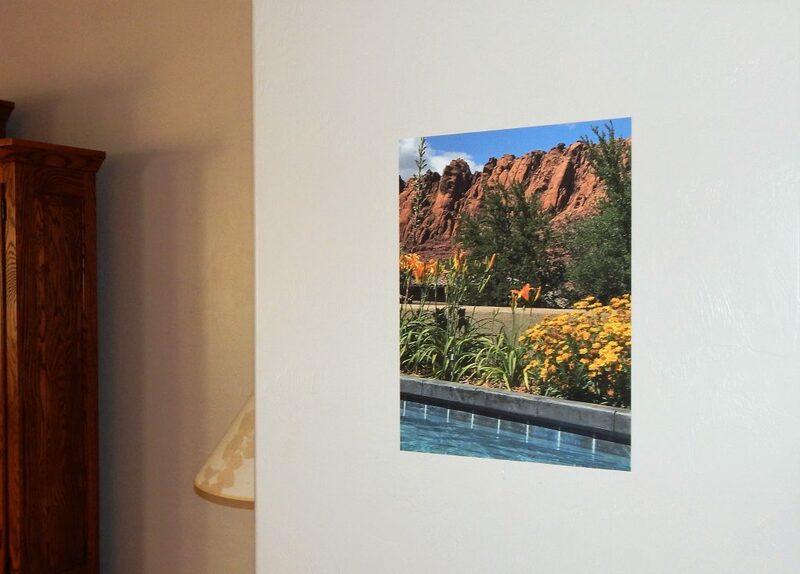 Hanging a picture has never been easier than with Fusion Peel N Stick Inkjet Photo Pro — just print, peel, and stick! No picture frames or nails needed.